Being able to travel at godlike speed is nothing short of marvellous. Owning a car has moved from being a status symbol to being a necessity. It affords us time and comfort along with the luxury of spending time with our dear ones as we commute. While the demand for a personally owned car has increased, figuring out how you are going to finance a car is far more important. It is more important than finding the perfect car model. Having the finance in place ensures you being ready when the right deal presents itself. It also increases your chances of cruising along the road that much quickly. Most banks, financial institutes, NBFCs or specialist car financing companies provide customers with a car loan. The idea is just as it sounds – loans given for the purchase of a car. You can get cars loans for both, new cars and used cars. There are also some car manufacturing companies with their own car financing firms that finance customers to buy their cars. a). The lending institutes can provide you with a flexible contract term, ranging from 2 to 10 years. This can make it easy for you to manage your monthly finances while availing the benefits of owning a car. b). You can reduce the monthly instalments by applying a residual to the loan. c). 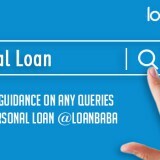 Lending institutes can give you a choice between fixed and variable rate of interest. d). You become eligible for tax deduction if your car is going to be used for business purposes. e). Usually, lower rates of interest are available as the loan is secured against the car. Applying for a car loan is very simple. There are a host of financial firms with web portals that provide handheld services beginning at assessing your eligibility, informing about the documents required and the application process, submitting or uploading the documents online, confidentially, and calculating EMIs for planning and management of your monthly finances. You simply have to log online to get all the car loan related information. Remember though, that even if the process for buying a new and a used car is quite similar, the rate of interest of used cars is much higher than new cars, making them a costly affair in the long run. Current financial status: If you have been careful with your budgeting, then you would probably be aware of the down payment you can make for the car, the amount of loan you require, and the EMIs post loan approval. However, for those who do not put a lot of thought into this matter, it is important to become aware of your monthly income, expenses and savings. Since your loan approval and rate of interest is dependent on your monthly income and credit score (discussed below), knowing your current financial status becomes crucial. It also prevents the agents from confusing you with complicated math and calculations and giving you a higher rate of interest. This will also ensure that you do not end up paying more rate of interest than the actual monetary worth of the car. Credit score: Credit score is the rating you get from a Credit Information Company (CIC) based on your annual income, past loan repayments, and credit card statements. CIBIL (Credit Information Bureau India Limited) is one such institute that can help you access your credit score. A good credit score is essential to get a lower rate of interest and to get the loan sanctioned quicker. Rate of interest: Banks and other lending institutes fix the rate of interest depending on the type of car and loan amount you are choosing. Interest rates are usually fixed for car loans. Keep in mind that interest rate for a used car is about 20% higher. Tenure: This means the duration for which you will be paying the EMIs, which includes the interest rate. It can range from 1 year up to 10 years. It is advisable to make a hefty down payment in order to lessen the loan repayment duration and avoid paying more than the car is worth. The maximum tenure for used cars is only 36 months, which puts higher EMI burden on the customer. In that, the banks or the financial institution approve your loan against the car that you are purchasing. Typically, a few delayed payments are allowed by incurring penalty fees. 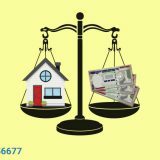 But if you consistently fail to make your monthly payments (EMIs), then the institutes, verbally and via written communication, request to begin payments immediately. If you still do not make the payments, the institutes have the right to repossess your car. c). Pay a higher down payment to reduce the total cost incurred on your purchase, in the long run. f). Avoid penalties by choosing institutes that allow flexible payment options. This means, you can pay a few months EMIs earlier than due without incurring additional costs. g). When buying a used car, it is a financially viable decision to make the full payment. Great Blog!! I am looking for this type of blog. Thanks for sharing it. Hiâ€¦ This blog sounds great. Overall is excellent. I love this. But need to improve to explain in deep and listing the factors specifically. But still itâ€™s awesome and knowledgeable. Nice work. Pros of taking a car loan, Usually, lower rates of interest are available as the loan is secured against the car. Have a good credit score. Save Money. Thanks for sharing it. 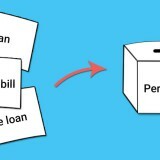 Next story Why Is Personal Loan Favoured Over Other Types Of Loans? Previous story Layman Series: What are NBFCs?